Rule One. Share seven things about me. 1) I love to travel, my dream is to see the world. 2) I’m addicted to music. 3) I can be shy at times. 4) I have stage fright. 5) What you see with me is what you get. People always ask me if I’m always this nice in person. Yes I am. I love to pay it forward and help others. I’m just a nice person. 6) I’m obsessed with vampires. I can’t help it. Love them. Thank you, Sandra de Helen for choosing me for this award! I look forward to seeing what others shall reveal about themselves. Cassandre, you are so very welcome. I love your blog and was thrilled to give this to you. Thank you so much! I appreciate you thinking of me this way. It’s nice to be appreciated by sister authors. Adele, you are so welcome. I truly enjoy your blog and was happy to give this to you. We authors have to stick together. Thank you so much. Congrats Savannah! You are a very nice person and this award is much deserved! Yay! Rosanna, thank you so much..I wish I could give this out to more people. There are so many more on my list. Including you. She’s right – you are a beautiful blogger! Julia, aww wow, thank you so much for your amazing words. So are you. I’m finally back online. I hope to go back and look at some of the posts I’ve missed. We both love the ‘pay it forward’ concept, don’t we? 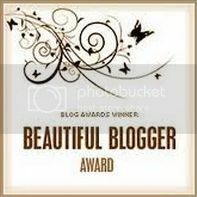 You deserve the beautiful blogger award! Ciara, welcome back. I’ve missed ya. Yes we do love to do it. I’m thrilled to support and do it. I’ve been lucky to meet so many amazing people this way like you. Thank you so much. I did not expect it. It was a wonderful surprise. BL, thank you so much. It means so much coming from you. Ohh good to know I’m not alone. Great tidbits about you Savannah, congrats on the award. Eden, thank you so much on both counts. I never know what to say about myself..How funny is that?